Sitting calmly on the set of ABC’s Good Morning America with Robin Roberts and George Stephanopoulos, Senator Kamala Harris announcedshe is running for the Democratic nomination for president of the United States this Monday. There was an audible cheer from someone behind the cameras the moment Harris said the words which caused the entire set to chuckle, even as she settled in to answer basic questions about qualifications, why she’s running and the Mueller investigation. Of course, none of that really matters right now. What matters is, does Kamala Harris have a chance? We won’t know the full answer to that question until Harris lays out her full campaign in Oakland, Calif. on January 27th but what we know right now suggests she will likely be a top contender. 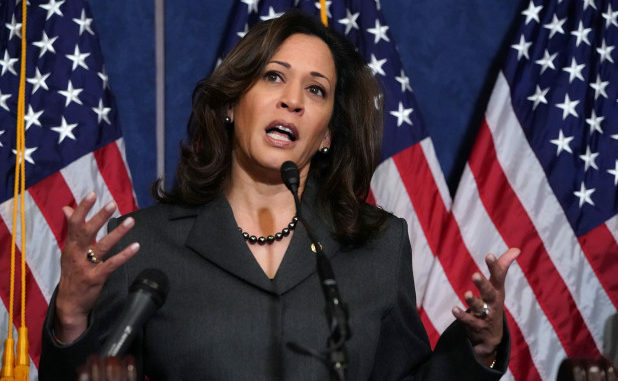 Harris, the junior senator from California, is the fifth Democrat to announce that she’s running for president. She was preceded by Senator Elizabeth Warren (D-MA), Senator Kirsten Gillibrand (D-NY), Former Secretary of Housing and Urban Development Julian Castro and Congressperson Tulsi Gabbard (D-HI). Out of that group Harris has a higher profile than anyone except for Elizabeth Warren and she comes into the campaign with some very good public showings as a member of the Senate Judiciary committee that grilled Brett Kavanaugh during his Supreme Court hearings in 2018. Harris has also landed in the top 5 in early straw polls amongst Democratic primary voters by MoveOn.org and Daily Kos. She will of course be facing a huge field by the time we hit the spring of 2019. Her Senate colleague Diane Feinstein (D-CA) has said that if (really when) former Vice President Joe Biden announces that he’s running for president she’ll endorse him over Harris. Bernie Sanders might jump in the race. Cory Booker, fresh off the rumors around his new “campaign consultant”/possible girlfriend Rosario Dawson, will probably jump into the race, and that’s before Beto “White Obama” O’Rourke makes a decision one way or another. Harris will likely face a field of 20 or more candidates, but she will be the only black woman running, and in a race that runs through South Carolina in the first three primaries that likely will count for something. During her Good Morning America announcement Stephanopoulos asked the Senator if she felt that her 16 years as attorney general in California and mere two years in the U.S. senate made her qualified enough to run for president; a question that I hope we never hear from a show host again. (She answered with the typical political answer of caring about people, etc.). America had eight years of George W. Bush who had been governor of Texas for 15 minutes before running, followed by eight years of Barack Obama whose Senate tenure was so short I’m pretty sure he was still using business cards from the Illinois State House. And now we have President Trump who’s only experience for the presidency is being rich, white and racist. While that may make him not atypical for Republican president it doesn’t necessarily make him qualified. 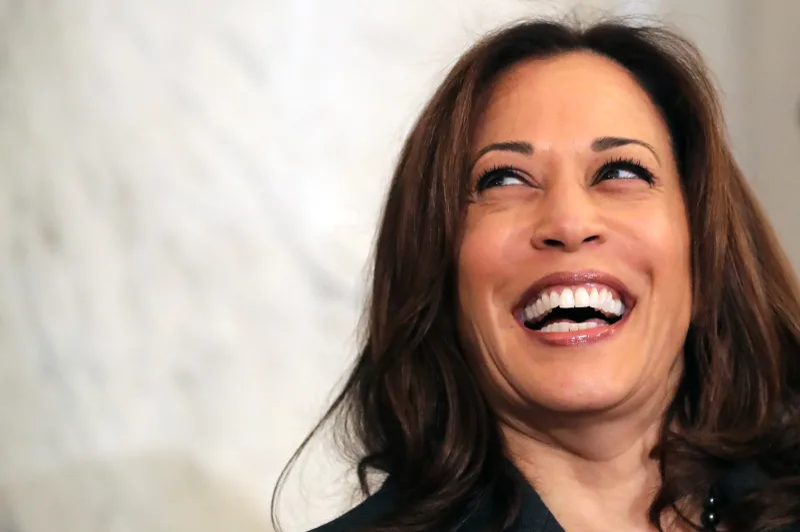 So with today’s announcement, Kamala Harris certainly has just as much of a chance as our last three presidents, which is pretty good for a black woman jumping into the ring on Martin Luther King Jr. Day.